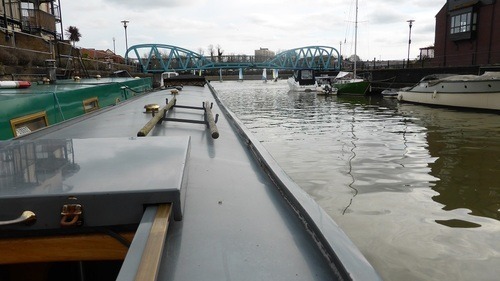 Well, a good week so far … we have both completed the Inland Waterways Helmsman Certificate course, in Bath – thanks to Richard Warren of the K&A Canal Boat Co. A grand day out in Bath on Saturday. 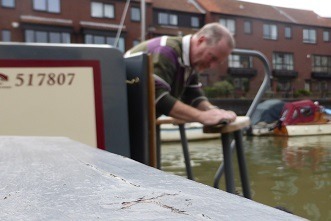 Sunday saw us back on t’boat in t’sunshine for some wood sanding and vanishing – in the glorious sunshine. Monday saw Steve back on board for a final coating of varnish. Tuesday – a flying visit to Devizes Marina (with Rob & Rusty) gave us the good news that they will have a berth for us April -September – hurrah! 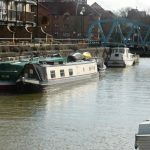 The K&A is almost back to normal – with only the first section (Hanham to Saltford) still closed … . 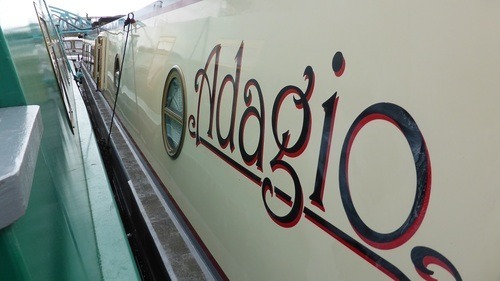 3 weeks to go to the maiden cruise . .
Well, the sun’s out and it has stopped raining for a few days so time to explore the boat some more and get down to washing/polishing the exterior and sanding the wood and polishing the brass. polishing the sides with car polish … hmm a lot more surface than a car! 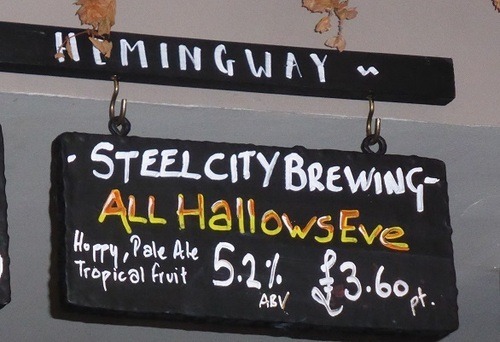 Adagio in Pooles Wharf, Bristol.